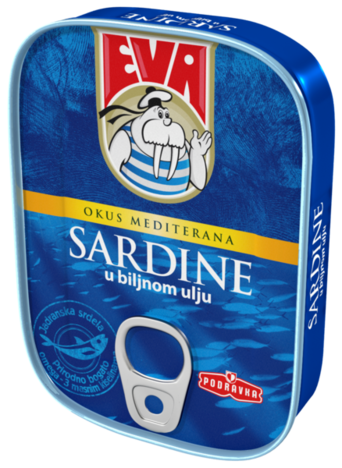 Proteins and omega-3 fatty acids make Adriatic sardines not only tasty, but also a very healthy food. Prepared with a traditional processing method with added salt and selected vegetable oil, sardines can be used for numerous culinary combinations and find their place with pasta, salads and on pizzas. sardine (Sardina pilchardus) min. 70%, soybean oil max. 30%, salt.